New Delhi/Mysuru: The Supreme Court yesterday expressed its strong displeasure over the Karnataka Government’s failure to furnish all records to land in a dispute involving University of Mysore. A bench of Justices N.V. Ramana and S. Abdul Nazeer directed the Secretary concerned and officers in the Revenue Department of Karnataka to appear before the Court with relevant original records on Feb.20. “The State has not produced any original record before this Court, when the basis of the appeal is that the respondents are claiming valuable land of the University by fraud and forged documents,” the Bench added. The matter pertained to donation of about 22 acres of land by the Maharaja of Mysuru out of 1,600 acres to the President of India for starting Logopedics Institute in 1965. However, in 1974, Rajaiah and Nanjaiah, having been in possession with regular rental receipts being paid as cultivators since 1950, applied for registration of eight acres of land situated at Kurubarahalli village, Mysuru taluk, after enactment of the Karnataka Land Reforms Act, 1961. In 2004, the High Court of Karnataka had dismissed the plea of University over the land on grounds of delay. Speaking to Star of Mysore here this morning, University of Mysore Registrar D. Bharathi said that the University had filed a Special Leave Petition as the two, Rajaiah and Nanjaiah, had falsely claimed that the land belonged to them by creating fake documents. 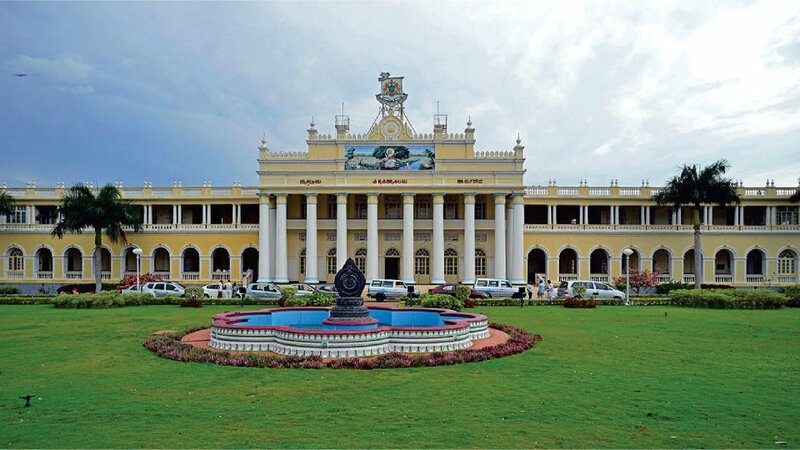 “In the 1960s, a portion of the land belonging to University of Mysore was handed over to All India Institute of Speech and Hearing (AIISH) in exchange for a piece of land parcel at the foot of Chamundi Hill as directed by the President of India. On the verification of documents we found the fake claims of the two and as the Khata was in the University’s name we decided to reclaim the land that rightfully belongs to us,” she said. Bharathi, who was the Assistant Commissioner earlier in Mysuru, is aware of the case as she had studied it and she added that a criminal case has also been filed against Rajaiah and Nanjaiah.